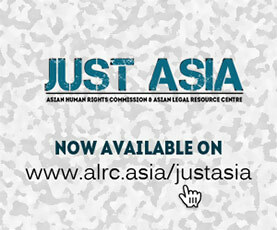 The Asian Human Rights Commission (AHRC) has received information regarding the persecution, kidnapping, and premeditated murder of Mr. Indra Pelani (22), an activist of a local peasant group, in Pelayang Tebat Village, Lubuk Mandrasah Sub-District, Tebo Regency, Jambi Province, Indonesia. 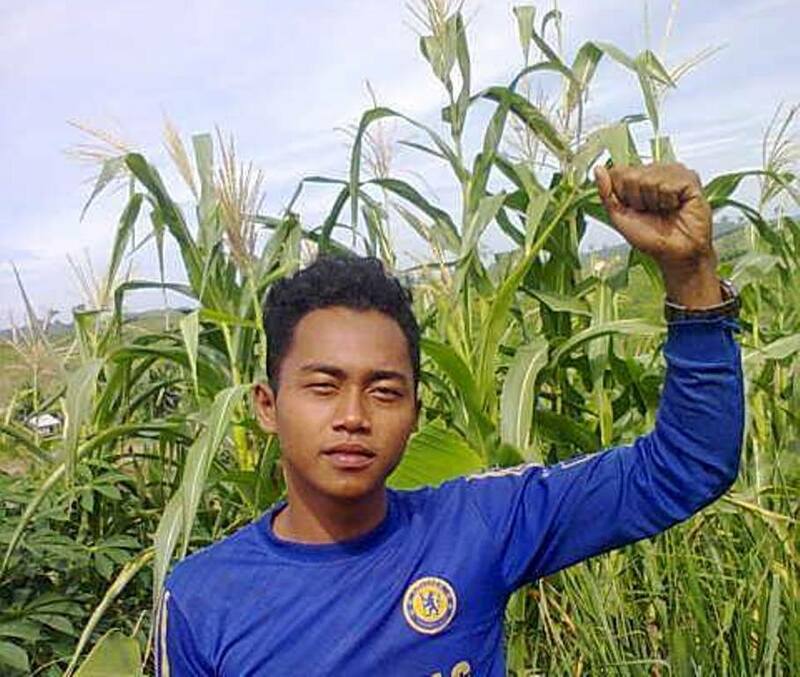 The AHRC notes that the murder of Indra constitutes premeditated murder, considering the long period of land conflict between the peasant group and Wira Karya Sakti Company (also known as PT WKS), which occupies thousands of hectares of land that belongs to the peasants. According to the Indra’s family, the persecution and premeditated murder occurred on 27 February 2015. Indra was a member of the Sekato Peasant Group; he was active in promoting and advocating land right on behalf of local peasants and against PT WKS, which continues to occupy thousands hectares of land belonging to the peasants. On the day of the murder, Indra, along with Mr. Nick Karim, a human right activist of the Indonesia Environmental Group, Walhi, were riding a motorcycle on the way to the harvest site, located 60 km from the village. To reach this place, they had to pass by the Security Post of PT WKS. While they were passing this Security Post of District 803, at around 4:30 p.m., they were stopped by the security guards and questioned with regard to their purpose of passing this way. Suddenly, security guards attacked and surrounded Indra and Nick, and as they were outmanned Nick ran away to seek the help of villagers. Indra, however, could not get away; the seven security guards killed him. Shortly thereafter, Nick came back to the Security Post along with thirty villagers, but when they reached the security post, they could not find Indra, and the security that remained at the post confessed that they did not know the whereabouts of Indra. As the villagers could not find Indra, they filed a report at the Tebo Police Resort. According to the additional information received by the AHRC, the police have seized a CCTV that recorded the persecution of Indra. And, this CCTV-recording shows that even after security guards were done attacking Indra, he was still alive. The guards then threw Indra’s body in a truck and took him elsewhere. On 28 February 2015, the villagers found Indra’s dead body Indra 7 kilometers from the Security Post, where the security had allegedly thrown Indra’s body after they had killed him. On 2 March 2015, seven security guards of PT WKS surrendered at the Police Area of Jambi Province (also known as Polda Jambi). The names of the security guards allegedly involved in the murder are: Mr. Jemi H., Mr. Zaidan, Mr. M. Ridho, Mr. Febrian, Mr. Deispa, Mr. Asmadi and Mr. Ayatollah K.
However, since the perpetrators have been detained in the police custody of Polda Jambi, the investigation process is moving very slowly. The police are seemingly reluctant to investigate the relationship between the PT WKS and the guards. The police investigation process has not really touched on the alleged involvement of PT WKS in the murder case and in occupying the land of local peasants. Agrarian conflict is a frequent and wide occurrence in Indonesia. A land right is not yet protected as a human right. Though the Country has a National Law, No. 5 of 1960, which mandates agrarian reform, a number of agrarian conflicts continue unresolved. Indonesia is a state party of the Covenant on Civil and Political Rights (ICCPR), with the promulgation of the National Law No. 12 of 2005, concerning Ratification of the Covenant on Civil and Political Rights. Article 4, paragraph 1 of the ICCPR states that “[e]very human being has the inherent right to life….” Beside the ICCPR, Indonesia also has a national law, No. 39 of 1999, on human rights; article 4 of this law guarantees the right to life. The recommendation of the Committee on Economic, Social and Cultural Rights in April 2014 asked the Indonesian government to address the threats to human rights defenders in the land rights sector. The Indonesian state has been asked to engage in constant dialogue with human rights defenders, protect them from acts of violence, intimidation and harassment, and thoroughly investigate all allegations of reprisal and abuse, to bring perpetrators to justice. The Government of Indonesia must also take into consideration the Declaration on Human Rights Defenders in 1998, as it is the basic International Instrument to establish protection mechanisms to support the work of human rights defenders within the border. The murder of Indra, as per the Indonesian Penal Code [KUHP], constitutes premeditated murder. Article 338 of the KUHP reads: “The person who with deliberate intent takes the life of another person, shall being guilty of manslaughter, be punished by a maximum imprisonment of fifteen years. Please write to the listed authorities below, asking them to ensure that the murder of Indra Pelani is investigated. The Police Area of Jambi Province, on the one hand, must be able to investigate and prosecute the perpetrators and investigate further the relationship between the security guards and the Company. On the other hand, the police, along with the government of Jambi Province, must resolve the agrarian conflict and protect local peasants from the land confiscated by private corporations. The AHRC is writing separately to the UN Special Rapporteur on the situation of human rights defenders, the UN Special Rapporteur on the rights of indigenous peoples, and the UN Special Rapporteur on extrajudicial, summary or arbitrary executions. I am writing to you with deep concern over the murder of Mr. Indra Pelani, a rights activist by the security guards of PT WKS, a private company.